Sensitive information or documents placed around in an insecure area can pose a lot of threats and may eventually lead to a breach of data. Crumbling and throwing them into the bin may not be the best solution; especially when it comes to throwing away old credit cards and bank related documents. That's when paper shredders come in handy. Here’s a guide to help you choose the perfect paper shredder for your needs. Especially in an office, paper shredders are crucial tools. This model is an excellent addition to a small office as it can conduct a whole hour of continuous shredding; it comes with an auto start and stop function. Besides, it's equipped with a micro cut shredding pattern, so your documents will be shredded completely. Since shredders are not a common item found at home, a manual one like this would help. It produces quilled strips of papers that can also be used as decorations. This inexpensive tool is also child safe as the cutter is placed inside the shredder. If you would prefer to go for a standard paper shredder, then this one is the one to go for. It can shred up to five sheets of paper at a time. Also, this shredder can shred through staples and paper clips which may save a ton of time from having to remove it from each set of documents. This portable shredder is lightweight and convenient to use. It doesn't come with a waste holder so you'll need a wastepaper basket to avoid a mess. Additionally, you can easily charge the device with a USB cable. This lightweight and delicate paper shredder is very compact; using only a tiny space on your desk or office area. Simply plug in the USB cable on this shredder, and you're good to go. Additionally, it also doubles as a letter opener. Recently, a lot of awareness has been raised in order to save Mother Nature from pollution. Save the Earth with this paper shredder, as it converts paper into small sizes. It's then easier to compost these papers without harming nature. This heavy duty paper shredder can shred eight sheets of paper at one go. It may even work on thinly sized cardboards as it has a strong cutter blade. 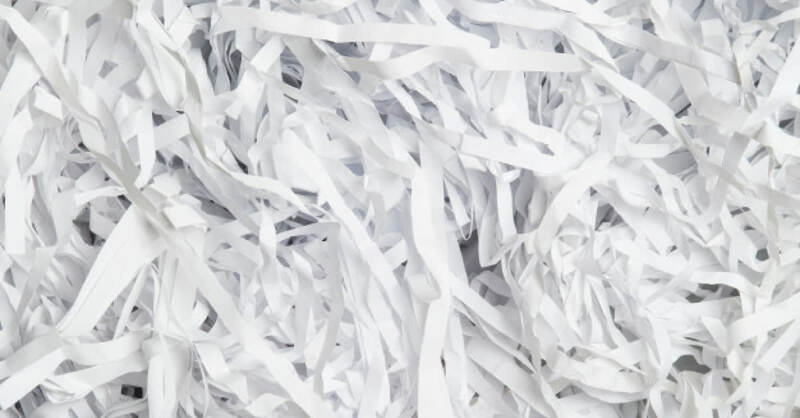 There's also a micro-cut and super crosscut styles of shredding, which ensures that your documents will be completely unreadable after shredded.